History in the state of Nevada runs deep. With its ties to historic mob events and nuclear testing, as well as ancient fossils and other desert relics dating back thousands of years, Nevada’s past is rich in diversity. The Las Vegas Strip itself is steeped in fascinating history. Explore these 15 historical sites in Nevada to uncover a past you may not have known about. The Nevada desert was the perfect location for some of the most famous nuclear testing the U.S. has hosted. While the actual test sites may not be readily available, this museum gives visitors a glimpse into everything nuclear from a safe distance. Visiting this landmark is an amazing journey back in time as each tour not only includes the actual site but also a photo collection illustrating the history of its construction. It is impossible to understand the size of this project without experiencing it first hand in person. The retired courthouse in Las Vegas now hosts the Mob Museum. Visitors can walk the halls that once held some of the highest profile cases in the state and explore organized crime from both sides of the law. The hands-on exhibits and photo collections are something you won't find outside of Nevada. This state park combines the Old West with some very old fossils to give visitors a taste of both modern and not so modern history. The fossils date back to an era where the state was underwater and inhabited by large water creatures. The ghost town on the other hand pays tribute to an era of panning for gold in the high desert. The city that is now called Genoa grew out of the earliest settlement in Nevada, Mormon Station. The early settlers were Mormon prisoners and this small town offers many historical sites that played a significant role in early the early settling of the state. The first train robbery in the west occurred outside of Verdi, Nevada. The location and this start to a long history of train robberies tied to the gold and silver trade played a part in the lure tied to the gunslingers and outlaws of the Wild West. The World's Tallest Observation Wheel happens to call Las Vegas home. The High Roller at the Linq offers riders a view of the strip like none other. This record holder is also an example of Las Vegas always pushing the bounds of bigger and better in order to stay on top of the tourist market. An authentic stop on the Pony Express, this site offers visitors a hands on glimpse at the Old West. The focus of the self-guided tours is the early pioneer days of Nevada. The station is now the center of a State Park with both the building and hiking trails to attract visitors. This historical railroad was originally set to connect the mines to the transcontinental lines for all of the U.S. It is currently the best preserved example of a standard gauge railway with authentic engines that offer short route experiences for riders. A major part of the silver boom was processing the ore and this was done in ovens like the ones found at Ward. These ovens operated in the late 1800s and are still standing in their original state. The state park offers visitors the chance to see the ovens and explore other exhibits tied to the mining history of the area. Gold Point is one of the best preserved ghost towns in the state. The area was first settled in 1880 with a promise of riches tied to mining. The big boom never came to this town despite its name. The area still houses many of the original buildings as well as several long abandoned ranches. Virginia City is an example of what success looked like in regards to the mining boom. 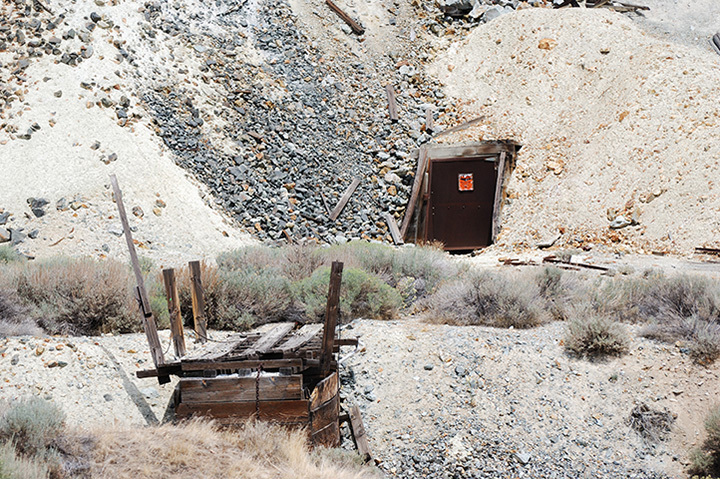 Unlike the failure of Gold Point, Virginia City was a boom with the Comstock Lode. This is a historical area with significant ties to everything that was opulent and booming with big mines of the late 1800s. The house of Senator Newland is significant due to the Senators role in local development, real estate in DC and the Newland Reclamation Act of 1902. Newland played a large role in developing Reno as well as D.C. The trail at Fort Ruby opened in 2015 after 10 years of excavating the site. It was once the location for a Civil War-era fort but was badly damaged by fire. The current trails explore both the nature of the area as well as the buildings and artifacts that were recovered. This site is historically significant due to it being connected to ancient native populations dating back 6710 BC. The location was discovered in 1936 and is a protected marker. There is evidence of multiple tribes inhabiting the area sporadically and this is an example of a local dig site. View more Nevada Historical Sites.